I probably got my love of smoothies from my dad. Every single day he makes one, sits outside to drink it, and puts the cup down for my dog Oliver to lick when he’s done. My dad has always put the oddest things in smoothies; from flax seed to raw eggs to other strange things, there are always some questionable ingredients involved. I usually keep my distance from these things and make my own smoothies (with a little bit of my dad’s influence of course) involving slightly more normal ingredients. Smoothies are so great. They’re meals you can drink or eat with a spoon! What’s better than that? Throw all these things in a blender and blend until smooth! Yummy. 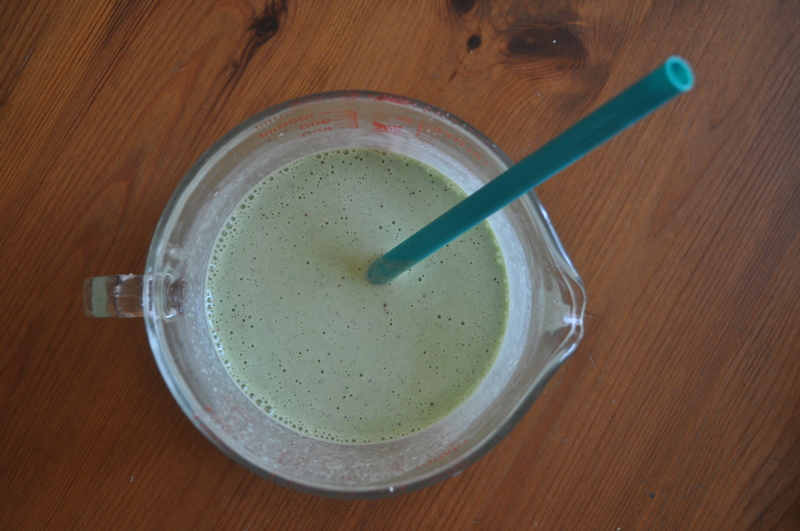 Edit: Another recipe I use a lot for my breakfast/lunch smoothies (depending on when I wake up…heh heh) is my Green Banana Smoothie. And I do not mean “green banana” as in, underripe and literally green. I mean banana plus spinach! It makes the smoothie this lovely light green color–which happens to be my favorite–and it doesn’t even taste remotely “green”. Isn’t it pretty? The cinnamon and walnuts add a nice banana-bread-esque kind of taste, plus the nuts help keep your tummy full and happy. I do really love this smoothie. 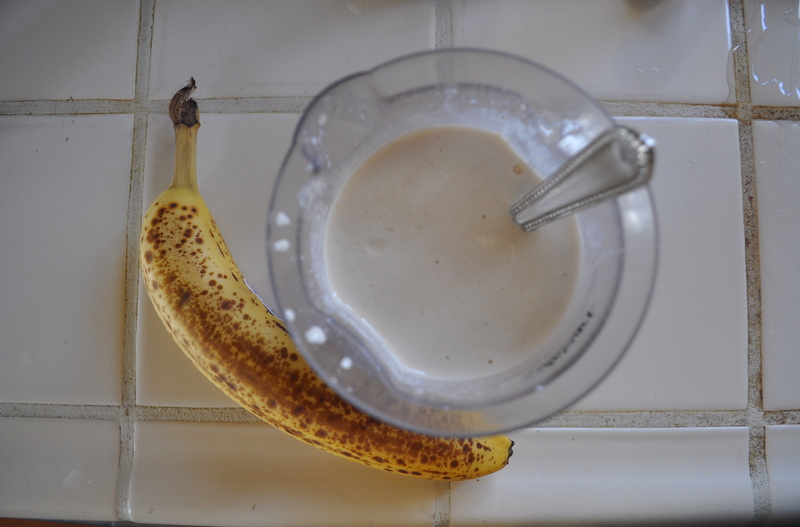 I always keep some frozen bananas in my freezer so I can make these smoothies whenever. 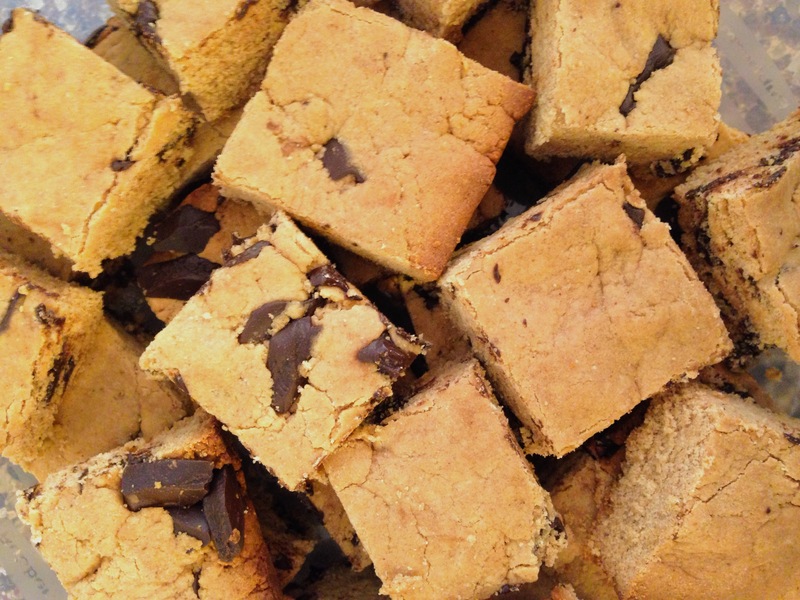 It makes them creamier and you don’t have to use too much ice (or any, if you don’t want to). I peel each banana and break it into 4 pieces, then stick them in a ziplock bag for my eventual smoothie-making. This way, they don’t get too ripe. I find that 1 whole banana is a liiittle bit too much in my opinion, which is why I usually use about 3/4 of one. And if you freeze some bananas, you can break 3 of them into fourths and you have a perfect amount for 4 smoothies (woooooo). I saw a recipe online somewhere for a similar peanut butter banana protein smoothie, but it had TOFU in it. I kid you not. Tofu. First of all, tofu is creepy enough when it’s not blended into a smoothie. It’s white and squishy and has a texture reminiscent of porous jello (except it’s WARM ehhhhhhh). Second of all, soy protein is not even good for you. So if you’re really wanting some protein in your smoothie, stick to the whey protein instead, it’s yummy and not white and cubic…ewwy. This smoothie is better, I promise. Happy weekend, guys! Have a smoothie to celebrate. Categories: Breakfast, Drink, Snack | Tags: banana, breakfast, peanut butter, smoothie, snack | Permalink.